Look at how yummy this dessert looks. Holy Moley!! 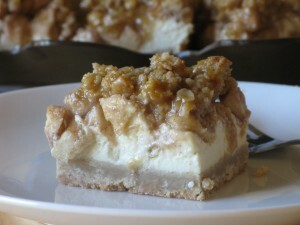 I am a sucker for cheesecake and if you are adding caramel and apples to, I am all for it. I would much rather eat dessert any day then real food!! Stopping over from Milk & Cuddles linky party and these look outstanding! Wow, definitely bookmarked. Thanks for the recipe! Thanks!! Glad you like it. Have you made them yet?